Twitter Search is sometimes helpful to "find" George. Thought it might be fun to start a Twitter Thread. LOL, keep us all busy. Like we have nothing else to do. Nice to see he is keeping busy. Everyone needs extra cash as christmas time! Cool. Thanks for starting this thread, Sisie. 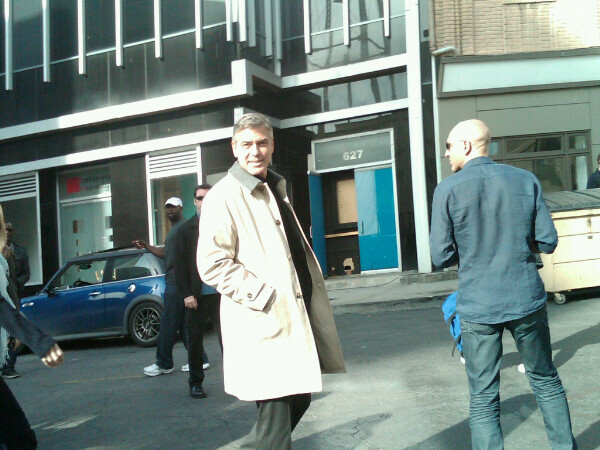 Just found a pic of George on set (thanks Henway). Think it's from the same shoot. Car commercial? Thanks for the pic! He generally looks happy when he's working, doesn't he? He seems fine, very cute.